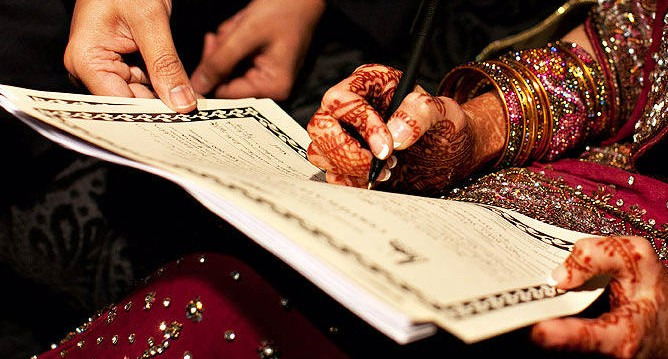 Many Muslim marriages fail because even though we understand that the Holy Prophet Mohammad’s (PBUH) marriage was the perfect example to follow, many of us are just not ready to be as willing as he was or as accommodating to the relationship as he was. The first step to a successful marriage is hence to be “willing”. This word covers a lot of scopes and ranges from willing to wash the dishes when it's not your turn to willing to be the first to say sorry after an argument. Willingness is essential, the word portraying a positive attitude from the word go! As humans we can be very self-centered and selfish when it comes to fulfilling our own personal interest, not making space for our relationships, even if they are our own husband or wife. This is the recipe of disaster for marriages because marriage is a relationship that craves love and respect. If one of the spouses is not willing to give it to the other, marriages will crumble. We must, therefore, try to show greater willingness in our marriage. When Allah says in the Quran “They are garments for you and you are garments for them” He means that willingness which encompasses protection, love and respect is to come from both sides. In marriage, one must learn to, therefore, compromise and realize that they will not get their own way always. If your spouse wants to have dinner with you while you just want to laze around, you should step up and be willing to keep their interest in mind even if you don’t want to. If your husband wants to just sleep after a hard day at work, you must be willing to give him that space.